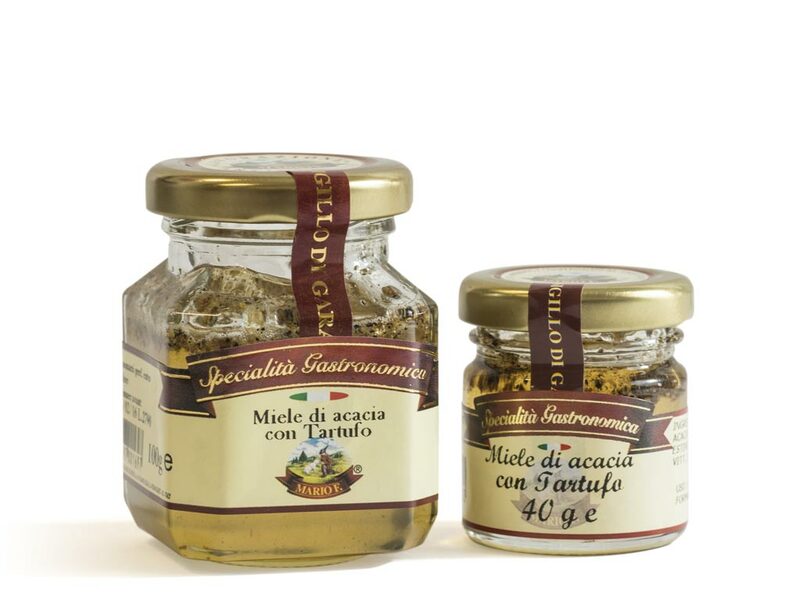 We suggest to use truffle oil in small amounts, because of its intense aroma that will immediately enrich any recipe: use it like you did with truffle butter. 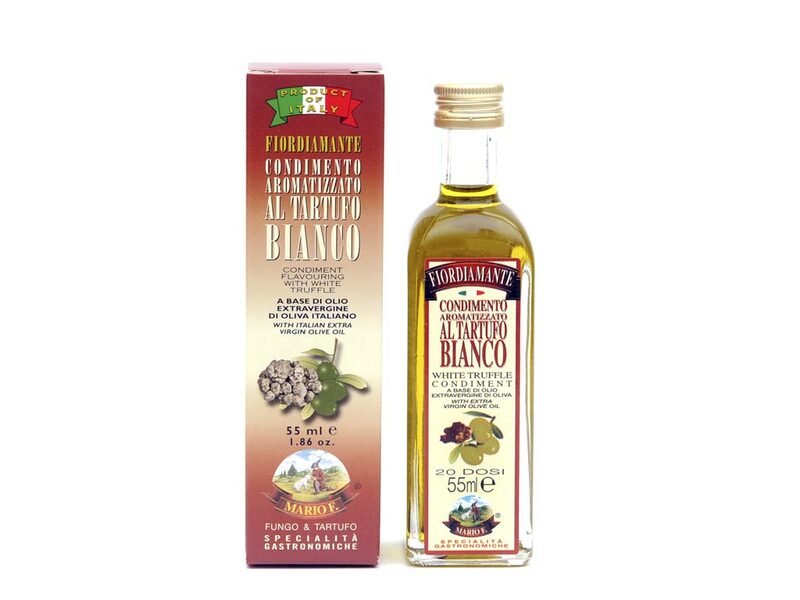 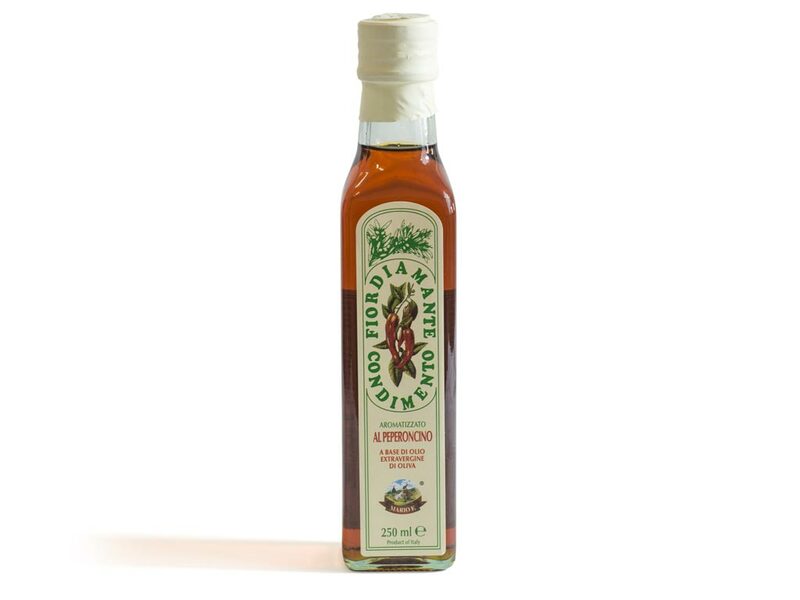 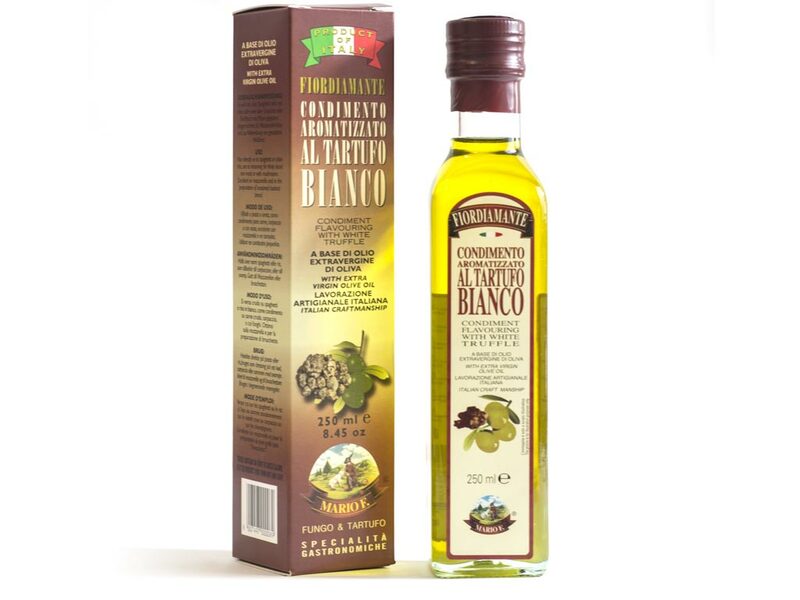 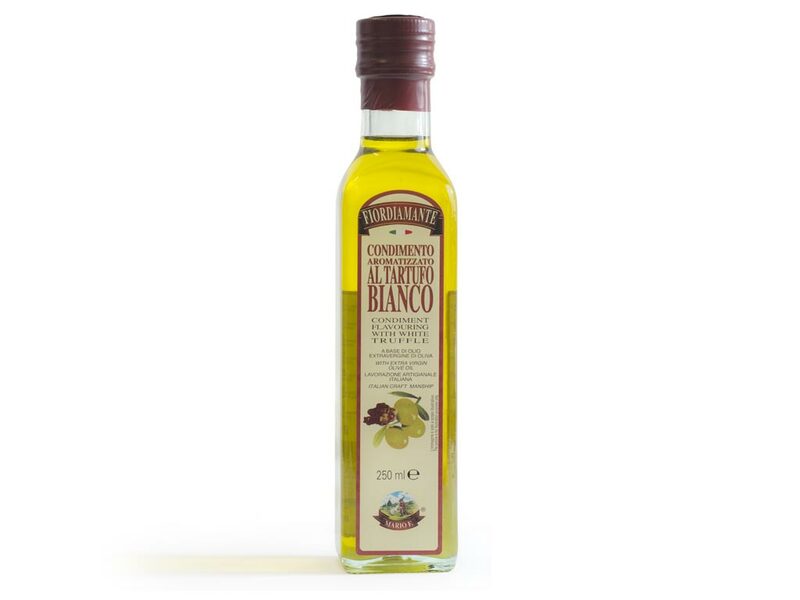 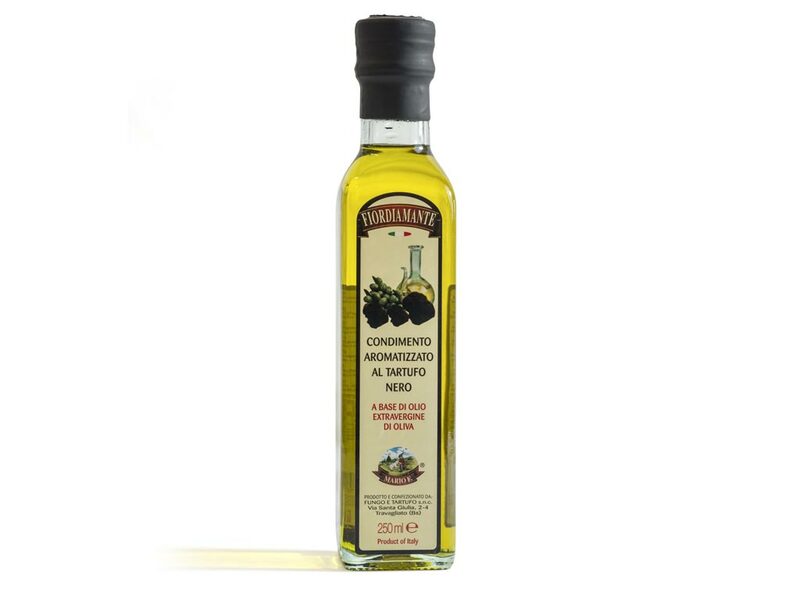 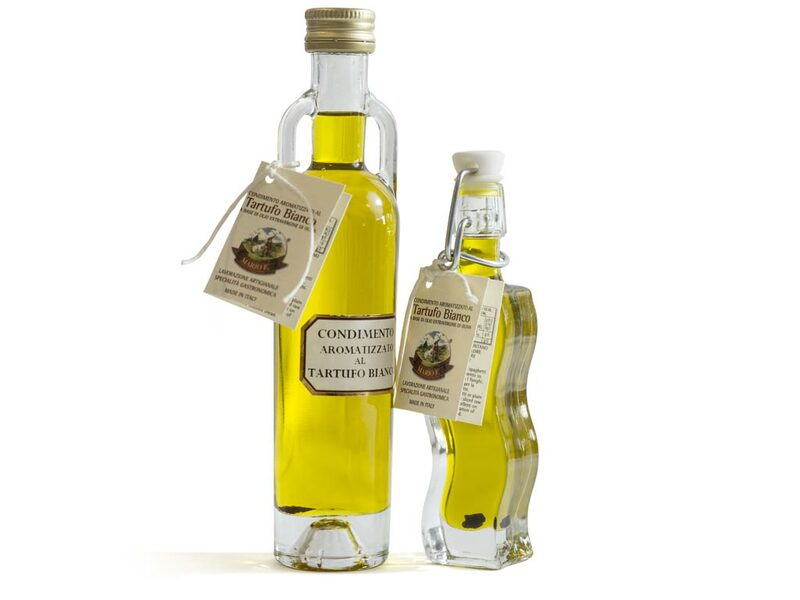 Flavoured olive oil is used to enhance the taste of salads, meat dishes, sauces and bruschetta. 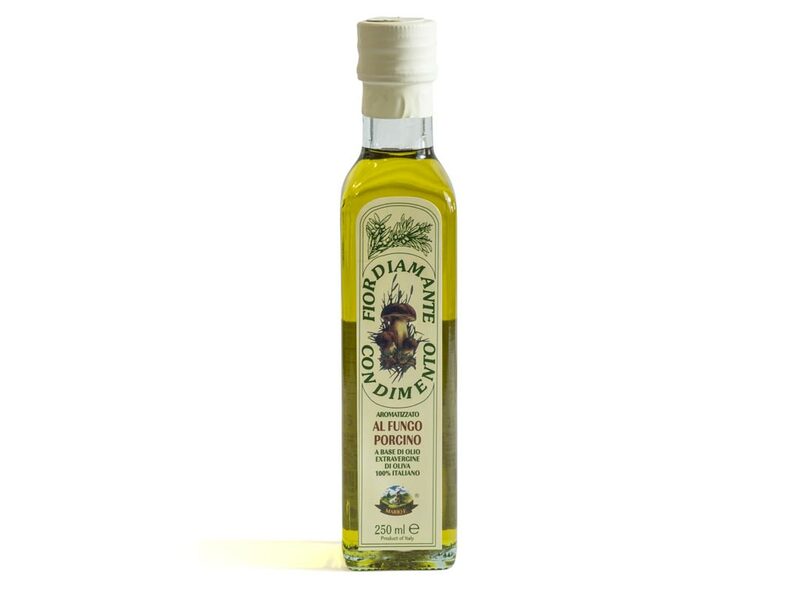 The rule is the same as for the products mentioned above: this oil is at its best when it’s not cooked, otherwise it loses some of its flavour. 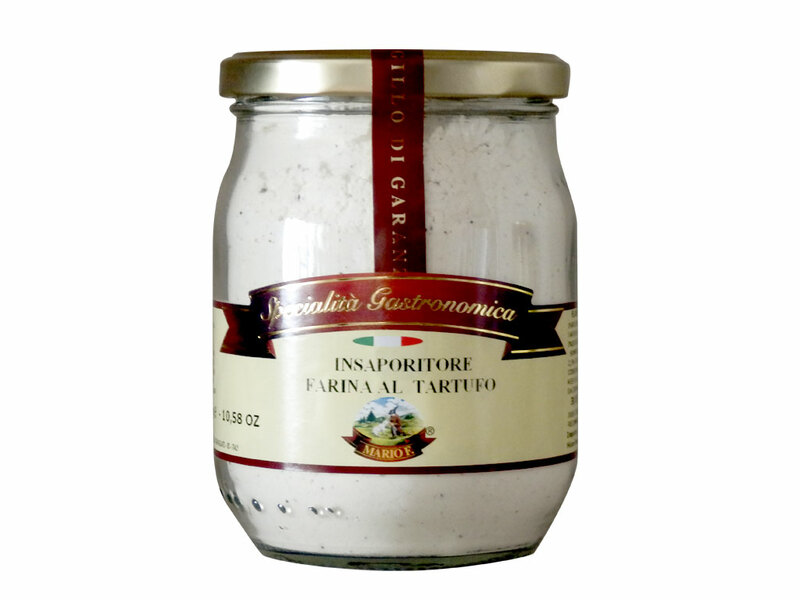 Add it “a crudo”, directly at the end of the cooking process. 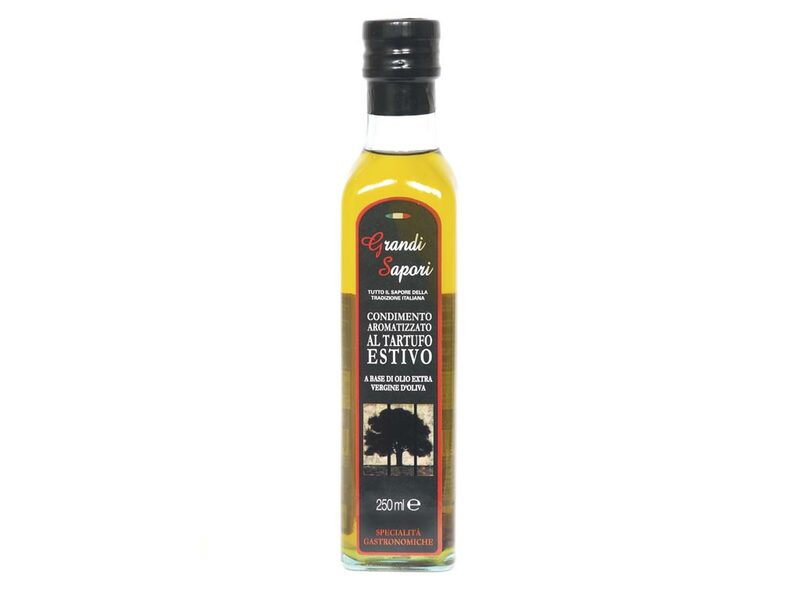 For example, try to prepare a salad with lettuce, tomatoes, boiled eggs and shrimps, seasoned with salt, pepper, vinegar and lemon or sage oil, or any of our flavoured oils. 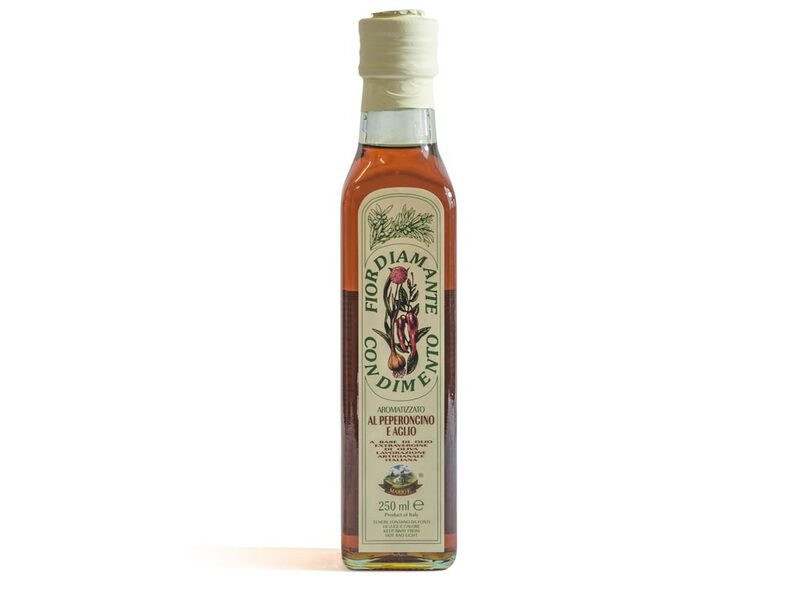 Chilli and garlic oil is a perfect match for spaghetti: first season them with oil (to taste) and a sprinkle of cheese, and then “strengthen” your pasta with a few drops of chilli and garlic olive oil. 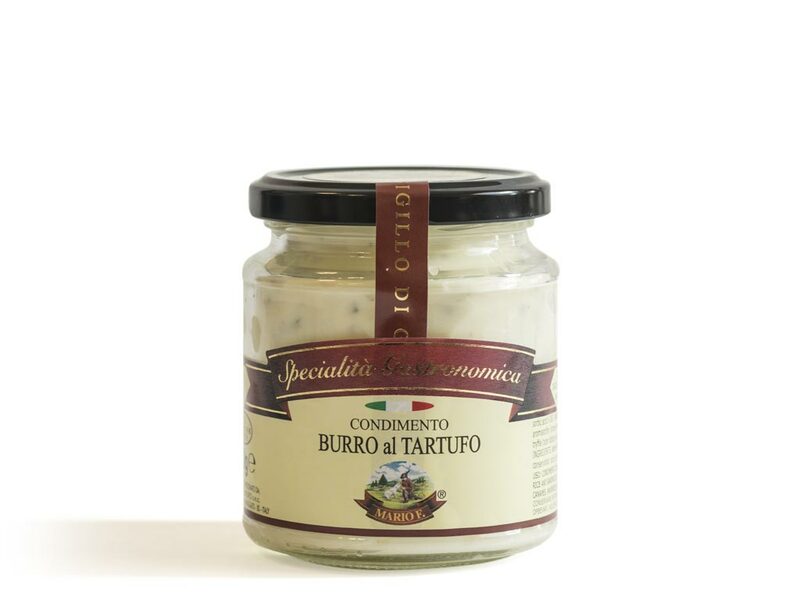 Truffle butter is excellent when mixed into rice at the end of the cooking process. 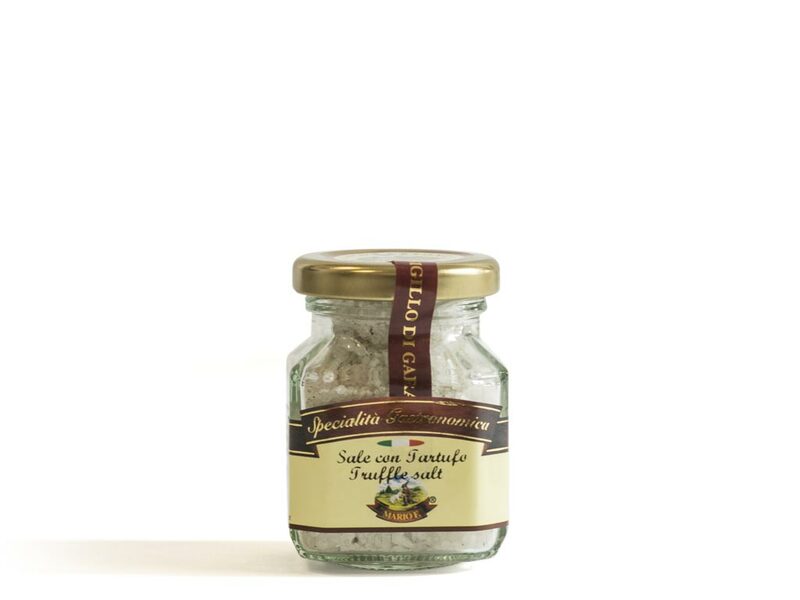 Just cook your risotto as you’re used to, and when the rice is tender but firm to the bite, remove it from heat and stir in a teaspoon of truffle butter. 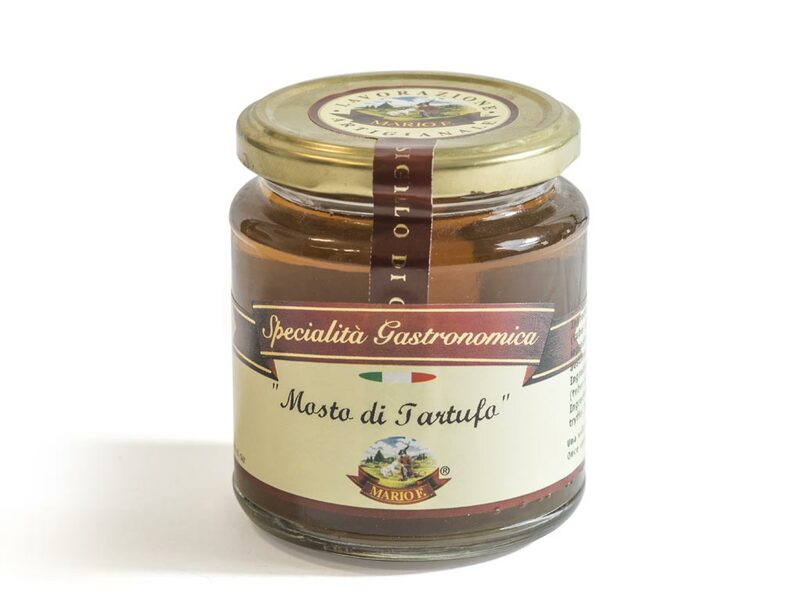 You can also use it to flavour sauces and fillings, or spread it over a bruschetta.